Home Unlabelled Where is 200m kitty? 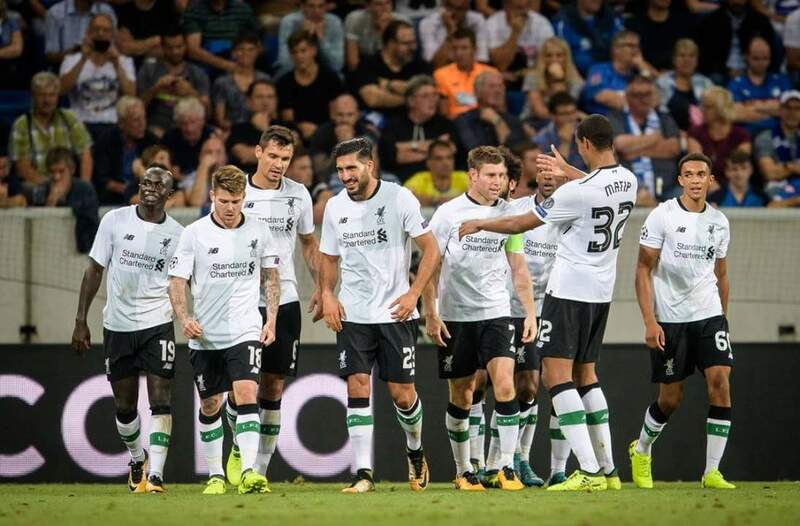 Liverpool squad is thinner than previous season! Where is 200m kitty? Liverpool squad is thinner than previous season! Liverpool's narrow 1-0 win over Crystal Palace on Saturday saw several changes to what's regarded as their first-choice team. Jurgen Klopp selected the same XI for the Reds' opening two games, so alterations on Saturday were the first glimpse of how they'll manage when reserve players have to be selected. Many fans feel like Klopp hasn't done enough to deepen his squad, although others blame the owners and a volatile, ludicrously inflated market. Victory camouflages all ills and while Klopp was perhaps entitled to gloat about a rare clean sheet, there are concerns that have still not eased. The visitors were clearly regarded as less important opposition than Hoffenheim this coming Wednesday or Arsenal next Sunday. Klopp is saving his strongest team for those matches. That probably means Sadio Mane will eventually play five matches in 15 days. Given his importance -- he bagged the winner on Saturday -- who can criticise Klopp for that? However, it will lead to worries over early burnout. Another important forward, Mohammed Salah, was rested but only for an hour. Palace became stubborn and unnervingly comfortable so Salah was eventually used. He made a big difference, too, which only worried fans more if Liverpool are already so reliant on both Salah and Mane playing. There's nobody remotely like them in the entire squad. Saturday also saw a drab first half, something exacerbated by moving Roberto Firmino from his usual role to accommodate Daniel Sturridge. These are the changes Klopp has to make during a hectic autumn and what a changed team produced on Saturday wasn't great. Sturridge suffered from a lack of service, particularly from a midfield three that was big on graft and low on creativity. Blame for that can be pinned on Barcelona or Philippe Coutinho's bad back, depending on how cynical you are. The litmus test for squad strength is if the loss of one or even two players makes a big difference to the team's overall performance and as far as Liverpool are concerned, it seemed to affect them a lot. James Milner is a solid standby for central midfield but he and Jordan Henderson lack dynamism. With Georginio Wijnaldum in early stuttering form and Adam Lallana out for a spell, Klopp will rely upon Emre Can, clearly rested for the upcoming important games. Ironically, given all the abuse the defence has already received, the back four changes worked out better. Ideally, Ragnar Klavan should only be a fourth-choice defender but mostly coped with what little Palace threw at him. Yet he was responsible for Palace's best chance, one that the normally lethal Christian Benteke (at Anfield, anyway) lofted skywards. Above all, Saturday's full-back pairing gave the greatest cause for optimism. Joe Gomez gave an assured performance at right-back and though Klopp already has two decent players for that role in Nathaniel Clyne and Trent Alexander-Arnold, it doesn't hurt to have options. Gomez's real test will come in a central role and against more adventurous opposition than Palace. The clear man of the match was left-back Andrew Robertson. He was an attacking threat all game long, almost scoring on his debut as the Reds tried to build on Mane's opener. It was heartening as few trust Alberto Moreno as a long-term solution to Liverpool's perennial problem position. After running into brick walls for their Grade A transfer targets all summer, it was hoped that the focus might shift onto Liverpool's squad. The Reds' first-choice team was very good last season, indicated by their mid-season position; at one point they were second only to a rampant Chelsea, and even then only six points behind them. By the end of a busy January, however, they were out of the title race and both domestic cups. Mane returned from the African Cup of Nations to find that despair had replaced optimistic promise in 30 devastating days. It could certainly happen again, even with Mane ever present. The international break is due shortly and represents a good time to take stock. The transfer window will close and Coutinho's immediate future known. More importantly, Liverpool will know what players they have to get through the next busy four months. Will they be enough? Klopp has always made wholesale changes to his teams rather than the odd bit of tinkering, which often seemed to have an adverse effect on fluidity and form. As has been stated numerous times, a lack of European football helped Liverpool last season: the ability to pick 11 players and stick to them as much as possible helped ensure some kind of rhythm but now the hard work really begins. Some want Barcelona to stop messing about with scarcely altered "new" bids for Coutinho, but could fans accept it if they knew other great players would be drafted in as a result? At this late stage, probably not. Just over 13 years ago today, Rafa Benitez signed both Luis Garcia and Xabi Alonso. What Klopp wouldn't give for a day as productive as that before this transfer window closed.